Welcome to the first release week of the new year from Taylored Expressions and to the second day of sneak peeks!!!! Taylored Expressions is celebrating Release Week with some fabulous giveaways! Visit the TE Blog each Sneak Peek Day this week for details on how you can enter to win. Today, I am peeking two super cute stamp sets - the first is a petite stamp set with coordinating die called: Hello Baby. 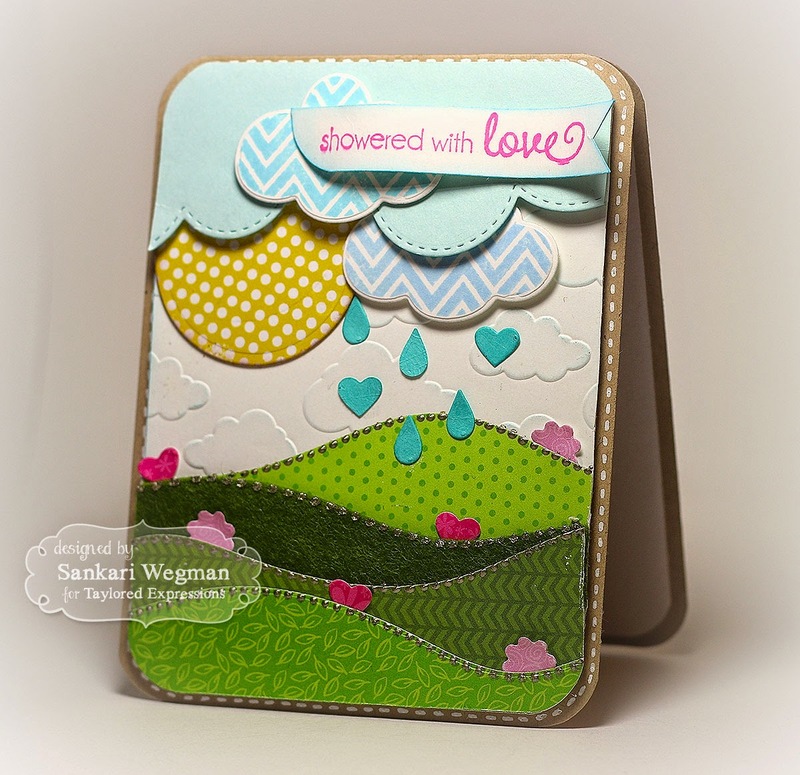 I love the cloud and the different mini dies that comes along with this stamp set (like the mini hearts, flowers, raindrops, etc.) 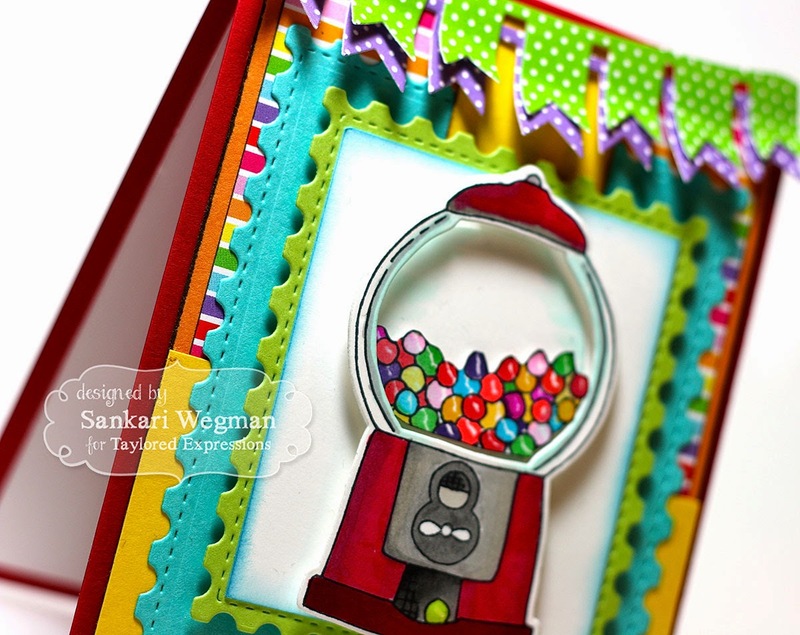 so for my card today, I paired this die with other Taylored dies to create this little scene using cardstock and papers from the Matched Kit: Build A Scene. 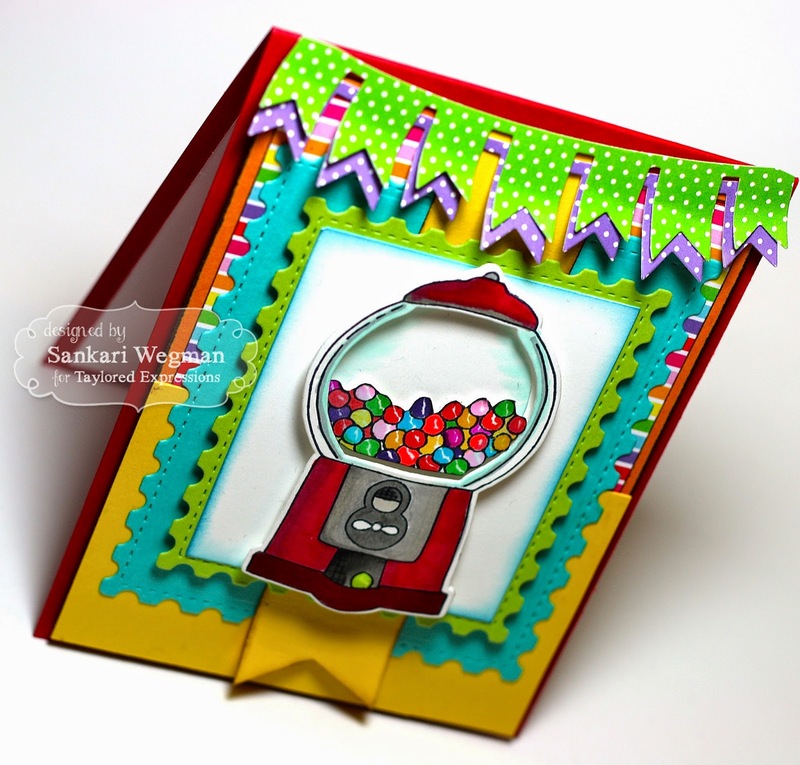 I have loved making these cards!!! Thanks so much for visiting crafty friends! If you would like to see more projects and new product information - please head over to the TE blog for a complete blog roll of our participating designers. Thanks so much for stopping by today! Please hop over tomorrow for more release peeks!! Your cards are darling. I think I NEED the rolling hills die. It will come in handy for so many of my stamps that aren't "grounded." Both your cards a awesome ... so colorful. Love the added addition of the little dots on your hills. Really makes the hills stand out. What a neat idea. I'm going to try it. Wow, what pretty designs with the dies. Love them both, lots of work there. Both cards are awesome. The banner on the gumball card was perfect! Both are wonderful! 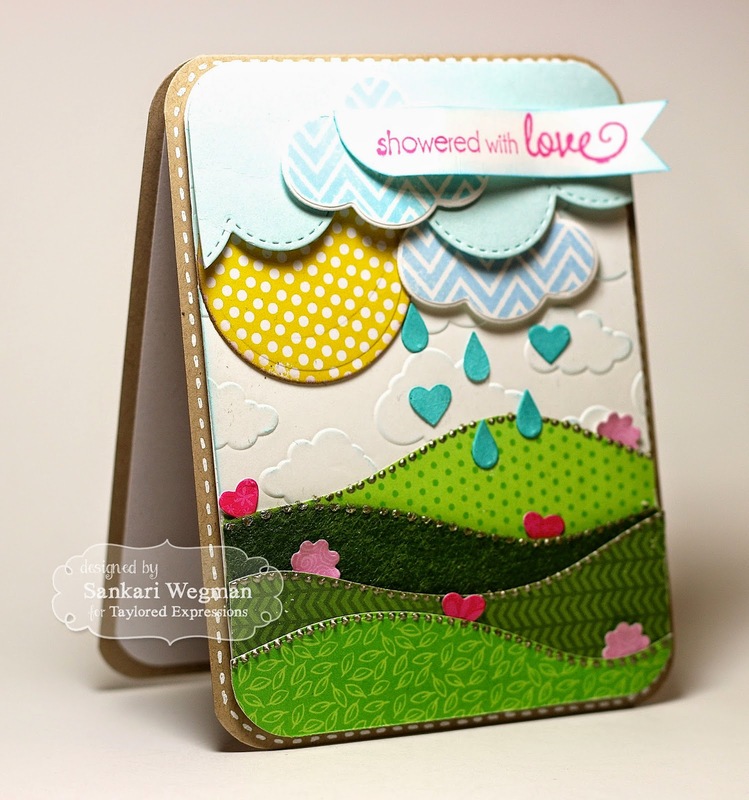 I love the scene with the various clouds, the rain, the blooming flowers and hearts - and all the wonderfully patterned rolling hills! 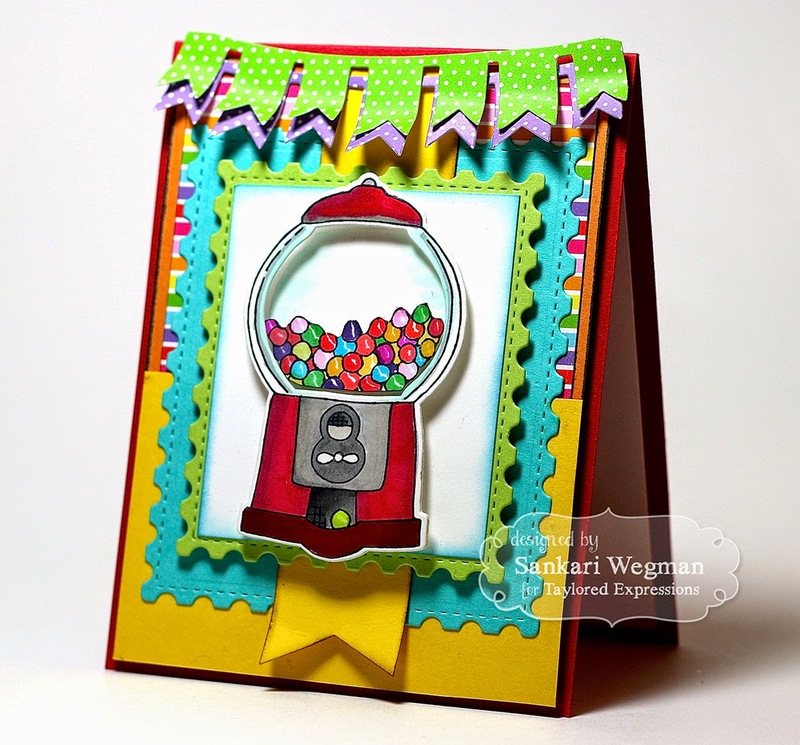 And the gumball machine with the bright colors and the banners is so cute!